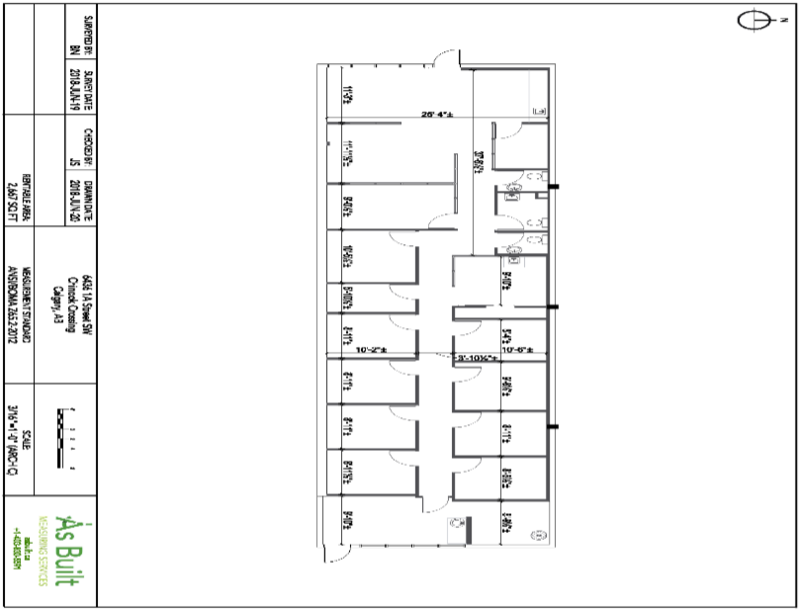 This building currently accommodates Six (6) tenants. across the street to the west. Past grade doors now refitted with glass windows. There is potential to return grade loading. Rental Rate: Basic Rents of $14.00 to $16.00 range are anticipated. Utilities: Utilities are the Tenant’s responsibility. Parking: Parking on the site is a positive feature. traffic arteries including MacLeod Trail, Centre Street, Blackfoot Trail and Glenmore Trail. Public transportation is provided by the Chinook LRT plus extensive bus service. This is an important and positive feature for the property. in the immediate area; the most obvious being Chinook Centre. listed as “permitted uses” and in Section 814(2) are the “discretionary uses”. This property was rezoned from I-2 to C-COR3 f1.oh12.